I travel the world and help businesses with their service culture and service standards. It’s not just the hotel and spa world that takes service seriously these days – I thought the vast majority of my clients would be in hospitality, but as it turns out we help companies in almost every industry imaginable. I travel the world and help businesses with their service culture and service standards. It’s not just the hotel and spa world that takes service seriously these days. Some people find their way into the spa industry by mistake, others by default. A lucky few are born into it… and Dr. Bryan Williams, Founder of B.Williams Enterprise, certainly falls into the latter category. Born and raised in St. Thomas in the US Virgin Islands, a career in hospitality wasn’t so much a choice as a destiny. As he says, in St. Thomas there are two ways of making a living – work in tourism or work for the government. Bryan started his career as a 15-year old in what was then the Grand Palazzo, and eventually became the St. Thomas Ritz Carlton. Bryan learned the business by taking just about every job a hotel has to offer: washing dishes, bus boy, concierge, waiting tables… you name it, if it can be done in a hotel, Bryan has done it. And he did it all while staying in school. 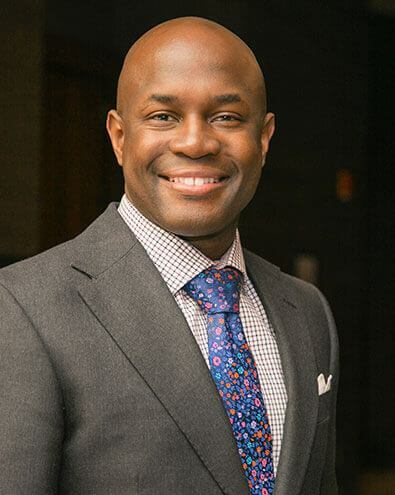 By the time he was in his early 20’s, when most of us are thinking about our first jobs, Bryan was running the Ritz-Carlton, St. Thomas’ training and development program for all staff. In 2002, Ritz Carlton he moved to its flagship property in Atlanta, where he came into contact with his major professional inspiration – Ritz Carlton’s President and COO Horst Shulze, now CEO at the Capella Hotel Group. By the age of 28 the entrepreneurial bug bit and Bryan set out on his own in another new location, Washington DC. Not a bad spot for someone who spends most of his life traveling from one client to another. His background in education has also inspired Bryan to give something back – “I try to teach people to create their own futures. So I volunteer at DC Central Kitchen, not just helping out in the kitchens but educating people about how to succeed in the service industry. Being part of the journey to help people who are trying to turn their lives around is very important to me.” People of ISPA is all about journeys and inspiration, not only about how we got here and what inspired us, but also about how we’re helping others to get wherever they want to go. Whether we are born into it or not.